Ten years back few Pakistani terrorists managed to enter the Indian parliament with the aim of killing elite Indian ministers. It was in the daylight of 13th December 2001 when the police force killed all the terrorists in encounter. Indian parliament is the place from where world’s largest democracy is governed. Soon the world community started taking it as an attack on democracy. Questions were raised on India’s security. It was being said that few people sitting in Pakistan proved that India is also not safe like Pakistan and if Parliament can be attacked then any other corner of the nation can be attacked. Tensed environment got created and army was mobilized towards India’s western border with Pakistan under Operation Parakram. Pakistan’s then President Gen. Pervez Musharraf warned India that it’s any mistake will attract a reply with nuclear bomb. Fearing the war would turn into a nuclear war. The war was atlast saved, but India spent crores in mobilization of Army. Today Pakistan’s terrorist group (HuJI) claimed responsibility of attacking Delhi High court. Demanding their hero (according to them) Afzal Guru’s death sentenced to be repealed. Afzal Guru was the master mind of 2001 attack on Parliament. The terrorist group warned the government that soon this sight will be common on other High courts and Supreme court in India if their demand is not fulfilled. The blast was of high intensity killing 11 and injuring 76 people. 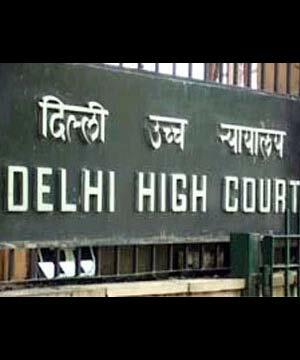 The tragedy occurred at 10:15 AM (IST) where the bomb was kept in a briefcase at the reception of the Delhi High Court. 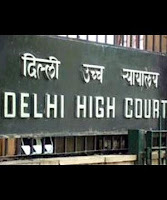 The Pakistani terrorist group, which has its active base in Bangladesh as well, was successful in their plan but were unsuccessful in bringing the life at the Delhi High Court on halt. The High Court resumed the proceedings post lunch within few hours after the blast. All the courts were working and the work carried on smoothly. US in its quick response said, “The US remains shoulder-to-shoulder with India in the fight against terror, and will provide whatever assistance possible to help bring the perpetrators of this heinous crime to justice,” United States Charge d’Affaires Peter Burleigh said in a statement. “Terrorism is a crime that affects us all. Bombings like today’s demonstrate that our shared struggle continues against those who would commit such atrocities,” he added. “On behalf of all Americans, I extend deep condolences to the government of India and the families of those harmed in this morning’s attacks on the New Delhi High Court,” Burleigh said as quoted by TOI. The case has taken a completely new turn. To many it was shocking that terrorists have restarted claiming the responsibility of the attack, which was not the case in previous few attacks. While it is believed that the attack has been conducted by HuJI, Emails are coming in from ISI controlled (Pakistan’s Intelligence Agency) Indian Mujahidden claiming the responsibility. Indian Mujhaiddeen is also warning of a similar attack in Ahmedabad soon this year. Though involvement of Indian Mujahidden cannot be ruled out. It is believed that IM is claiming the responsibility of the attack after HuJi had already claimed to cover the involvement of Pakistani group.